Do you need the sails? Welcome to our sailmaking workshop! 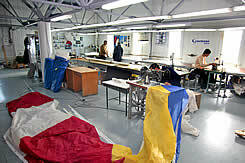 UA SAIL is a sailmaking workshop in Kherson, Ukraine, started its work in 1995. Since this time the sailmaking has constantly been developing and the new methods of design and sailmaking were applied in industry. The quality of the sails have been rising. 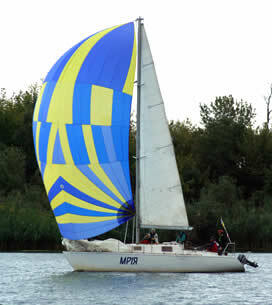 Order the sails in Ukraine at the Mukhin's sails workshop! 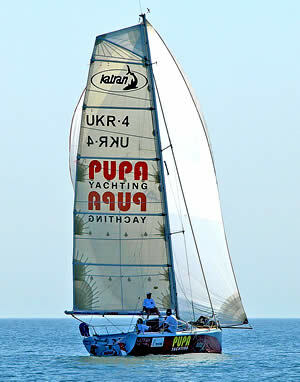 Alexandr Mukhin, the owner, sailmaker and director of the UA Sail workshop has huge experience of sailing. He was success sailing racer on "Finn" and cruise yachts, worked as sail trainer. 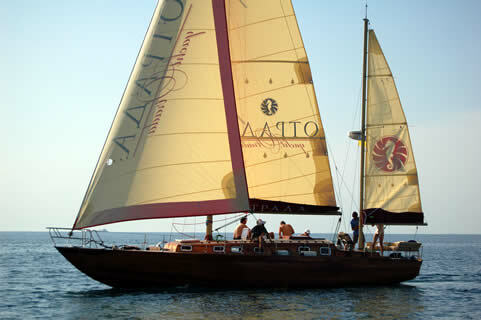 He have been learning the sails aerodynamic and sail design and construction for 30 years. 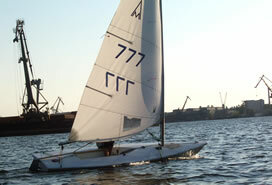 In 2007, the new page of the UA SAIL workshop life have been started. 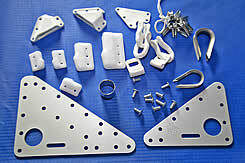 The cooperation with German company allowed the technical reequipment to be done. It is a modern industry for now. 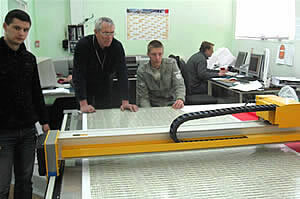 The newest computer technologies are applied for sail design and any sail can be created. There is possibility to cut the sail cloth using cloth cutting plotter quickly and accuracy. 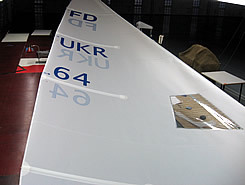 It allows to get the correct shape and flat surface of the sails. The direct delivery of the sail cloth and sail attachments from manufacturers makes the price of the sails lower and the time of the sail producing decreases as well. 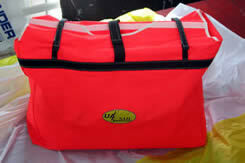 The UA-sail sailmaker performs both the producing and the repairing of the sails for any type of sail yacht. 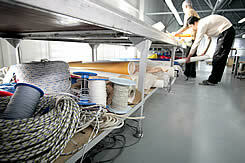 The excellent combination of the quality and price, maintaining services made the order the sails at us reasonable. 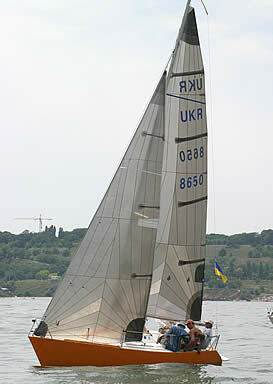 Yacht Foros,Kherson (champion of Ukraine) in the race under MaxCarbon sails from sailmaker Mukhin Alexander. Yacht Mriya under Spinnaker from Alexandr Mukhin's UA Sail sailmaking workshop. 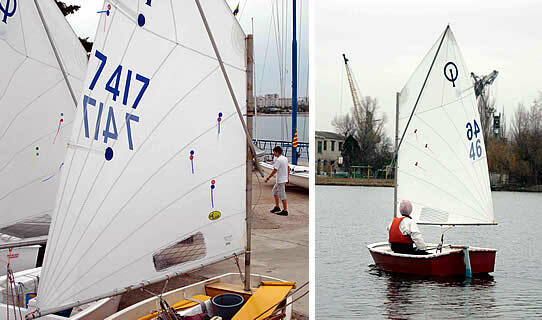 Yacht Catran under sails from Alexandr Mykhin's UA Sail sailmaking workshop. 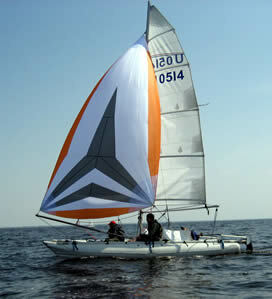 Having huge experience both of sailing and saimaking we offer the optimal sails set to fit fo your boat exactly. compute cutting plotter Aeronaut provides high quality of your sail. the seams are glued double stripe. 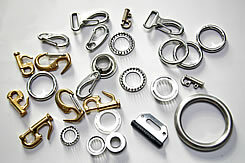 clew Rutgerson or rings reinforced Polyester or Dyanema. 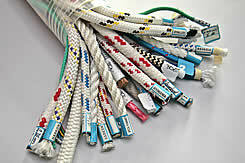 luff rope -polyester or Kevlar. 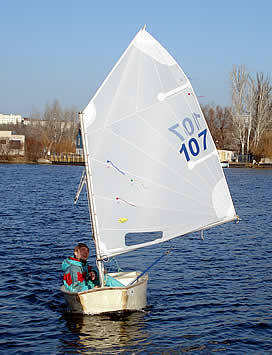 The design of the sail is developed accordingly of recomendations of sail cloth manufacturers. 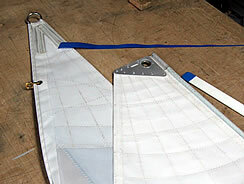 staysail's leech and foot for furling gear are protected UV stripe of Polyester. 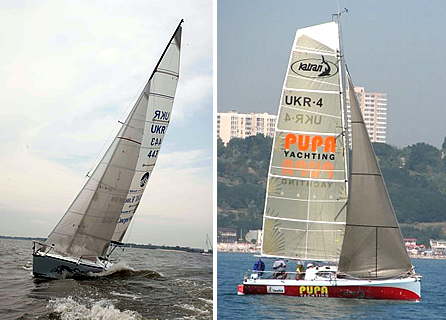 Standart Race Mainsail, Race Staysail. compute cutting Aeronaut provides high quality of your sail. double or triple stitch seams. 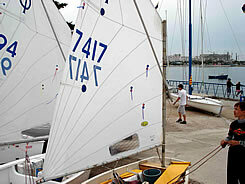 One design - Optimist, Cadet, Finn, FD, Lazer, 470, 420, Тornado etc. The Cross Cut of the sail is cheaper. 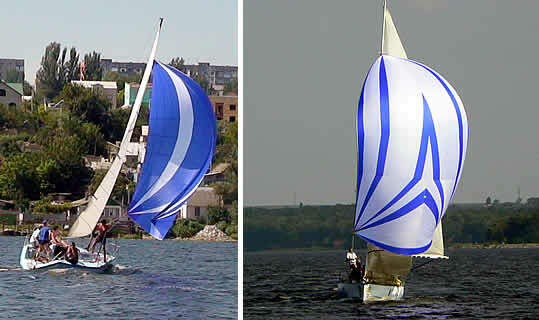 The necessary amount of seams provides appropriate shape of the sail. The leach works well. The light sail cloth is applied. 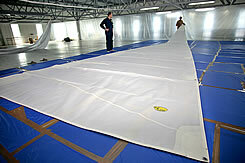 It is possible to make the sail of the cheapest sail cloth for training process. 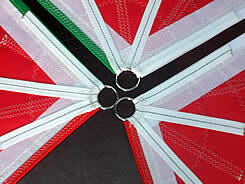 Mixed cutting - includes cross and radial cutted panels. This method combines the advantages the both cutting methods.